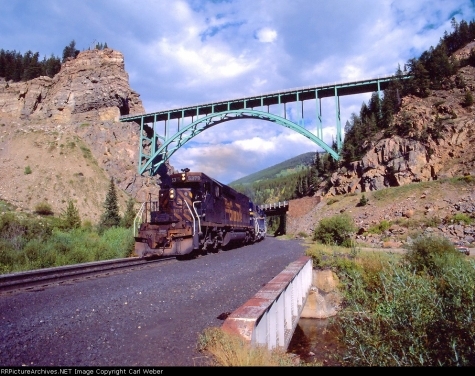 Rounding out this week's theme for Photo of the Day of Tennessee Pass, Carl Weber returns to Colorado Railroads with a worthy photo indeed! How could I not include Red Cliff? Those who haven't been, should, despite the lack of rail traffic. The town is as aptly named as any. Good way to go out on a Friday. It's September 4, 1990 and the warmth belies the proximity to autumn and aspen gold. PS: If you love Tunnel Motors, check out 5379's factory fresh paint job in 1977.